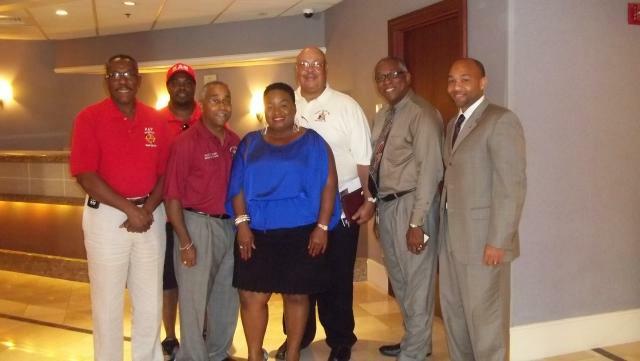 Kappa Alpha Psi Fraternity, Inc. Completes Their Site Visit in Tampa! Linda Mummert here with a convention sales update. We hosted a site visit on Wednesday, 9/26 and Thursday 9/27 with Kappa Alpha Psi Fraternity, Inc. Our site participants included Myron Hardiman, Executive Assistant to the Polemarch, Kevin Johnson, Chairman/Meeting Planner and Al Mobley, Assistant Meeting Planner. We are delighted that the group is considering Tampa to host their 2017 Grand Chapter Meeting. They are expected to bring as many as 5,000 attendees and a total of 8,183 room nights to our Tampa area hotels. Tampa Bay & Company along with our hoteliers and several Kappa Alpha Psi city officials were in attendance to give the siting committee a warm Tampa sendoff. Well this is it for now. Stay tune for more exciting convention news in the future!